C-Suite execs face a growing firestorm of profit-killers: Sky-high healthcare and marketing costs, constantly shaky and shifting technology landscapes, and an unparalleled turnover rate… with typical (median) employee replacement costs now at 21.4% of annual salary*. 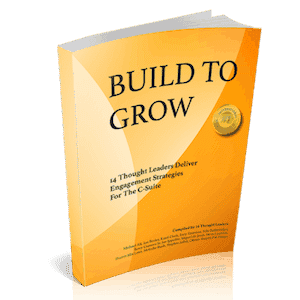 This book is aimed at taking down these challenges…. Michael Alf. After a global senior executive career, Michael decided to start his own business. He is founder of the Virtual Summit Formula, author of multiple international #1 best-selling books, who also helps clients create and publish books to help them with their positioning in the marketplace. His specialty is virtual summits that attract hundreds and thousands of participants, grow and elevate a business, and create significant exposure in the marketplace. 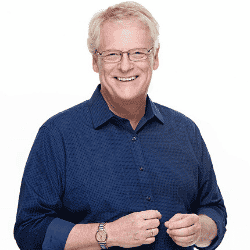 With summits like Thermie Living Lifestyle Summit, Freedom Business Summit, Ultimate Man Summit, Entrepreneurial Executive Summit or the Healthy Weight Summit, Michael has developed multiple approaches and a wealth of experience around virtual summits. Before his entrepreneurial journey, Michael was a senior executive with extensive experience in global, regional and local roles in IT leadership, consulting, transformation, business development and general management within the services business. He has had broad exposure to retail, energy, utilities and FMCG, with particular strength in logistics, working across all modes from mail, express, logistics, freight, rail, ports and corporate services (procurement, HR and finance). He started his career with the Federal Armed Forces in Germany attaining the rank of Captain. 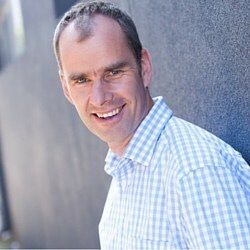 Ian Bosler has published three International #1 Bestselling business books and is a serial entrepreneur. After a very successful corporate career in senior marketing and sales roles, he founded Intertype in 2004. Intertype started as a typical printing business but is now helping small, medium and large businesses to unlock profitable growth by improving their marketing and sales communications. He has been involved with the printing industry for over 30 years. From large multinational companies to his own start-up, Ian’s printing experience encompasses packaging, business forms, commercial print, mail house, security printing, digital printing, and print management. During his time at these organizations he worked closely with senior executives of major corporations in Australia, UK, USA, and throughout Asia. This exposed him to the communication processes across most industry sectors including Banking & Finance, Education, Manufacturing, Mining, Insurance, as well as all levels of government. While there have been many achievements throughout his career, his biggest success has come from his own start-up printing company which he founded in 2004. This business has evolved to provide comprehensive marketing and sales communications products and services to an enviable list of Australian and international clients. By deploying a highly-automated marketing and sales communications approach within his own printing business, it has been recognized by the printing industry heavyweight, Fuji Xerox, as representing the model for the future of the printing industry. Originally from Mudgee, a small country town in Australia, he now lives with his wife and son in Melbourne. He loves the ocean, is an avid sailor, and enjoys indoor archery. 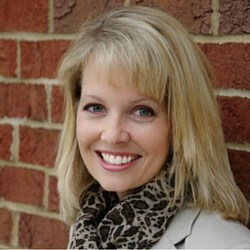 Karol Clark, MSN, RN is a #1 Best-selling author and entrepreneur. As the founder and CEO of Weight Loss Practice Builder, Karol helps self-insured corporations implement cost-effective weight loss surgery options (including a comprehensive 12-month follow-up program), and incorporate a successful non-surgical weight loss program (My Weight Loss Academy) into their health plan for their employees so they not only lose weight but understand how to keep it off for life! Karol and her team also certify on-site corporate physicians or private physician groups to effectively provide individualized counseling to accompany these weight loss programs. Karol can be reached at Karol@WeightLossPracticeBuilder.com and on LinkedIn at https://www.linkedin.com/in/clarkarol. You can also visit her business sites at www.CFWLS.com, www.WeightLossPracticeBuilder.com and www.YourBestSellerBook.com. 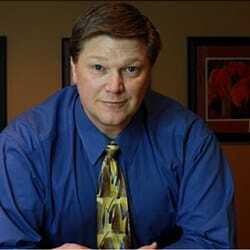 Jerry Dreessen has been studying and implementing keyword search and website optimization since 2008. He is constantly learning the latest techniques and is always testing new and creative ways to bring clients’ content to the “front of the search engine line” to generate organic as well as paid traffic. He holds a Certification in Author Expert Marketing Machines, as well as being CEO of Who Is Your Webguy, a local and national client-marketing company. He is a master close-up magician, with three original illusions on the market; and in his spare time sails Hobie Cats with his wife, Jenny. He is happily married with three kids, and is not so happily an owner of three cats. Niki Faldemolaei is the author of three #1 international best-selling books, and certified marketing technologist and strategist, Niki helps companies master the digital age so that they can grow and profit. Niki served 20 years in corporate biotechnology and new media industries followed by 10 years in entrepreneurial product and service launches, campaigns utilizing cutting-edge intelligence and live event promotions for celebrity athletes and pioneering healers. While working with the Newspaper Association of America, IMG Creative and Proelite, Niki achieved successful client placements in USA Today, Newsweek, Washington Post, NY Times, Huffington Post, Muscle & Fitness; at the Cannes Film Festival and Toronto Film Festival; as well as on the Sundance Channel, National Geographic Channel, and Showtime. Niki has also earned agency, publishing and NY Times interactive awards. In her spare time she contributes to non-profit charities and was blessed to run a branch church ONAC Indigenous School of Temple Arts. Visit them at http://indigenous-nations.org. 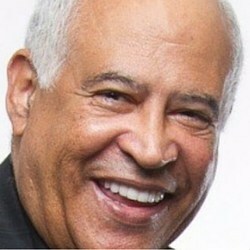 Barry D. Gumaer, Sr., MBA, Digital Marketing Consultant, Producer, Speaker, Author . Barry is a highly-accomplished specialized marketer, author, speaker, consultant and digital video marketing consultant with highly-skilled proficiencies in marketing, lead generation, customer retentions, and an exceptional technical expertise in audio, video and creative production designs background in corporate meetings, events and entertainment, who brings results to the companies he consults. He has been producing and directing videos since 1967 and uses his expertise to benefit varied enterprises in accomplishing their marketing and performance goals. 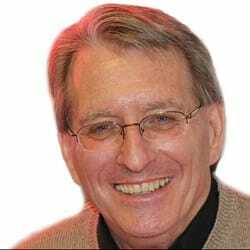 A serial entrepreneur since 1977, Barry has established businesses in video production, equipment and services; marketing; entertainment and retail; and web-specific design services. 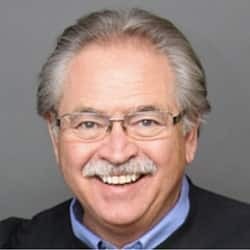 Throughout a career of more than 40 years, he has worked with more than 350 of the Fortune 500 companies and executives including IBM, Disney, Boeing, Hershey, Sun Microsystems and CBS; past U.S. Presidents and other government officials including U.S. Supreme Court Justices; A-List celebrities; countless associations, medical societies, facilities and non-profit enterprises. He works with local establishments in every conceivable category of business enterprise, specializing in enterprises with revenue of $1 to $15 million, furthering their efforts toward increasing customers, revenues and ROI. 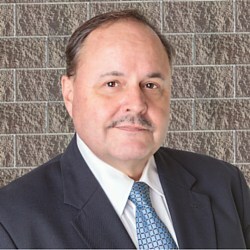 Barry D. Gumaer, Sr., MBA, is the President/CEO of Complete AV, LLC, a marketing solutions consulting company specializing in Video Marketing Solutions, website and Direct Response marketing services and video production. Established in 1983, it is based in Palm Springs, California. Joe (JT) Ippolito is a former executive for IBM, Xerox, AT&T, and NEC, He is the Founder and CEO of Media Marketing Management. As an award-winning entrepreneur, business owner, speaker, author, and consultant, he specializes in cross-channel marketing strategies that help companies increase their revenue with his proprietary tactics. 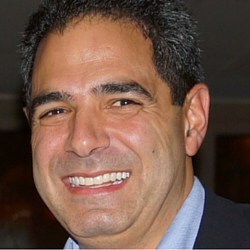 His websites are located at: http://www.mediamarketingmgmt.com and http://www.jtippolito.com. Joe has worked on complex technology solutions with C-level executives in boardroom settings. Having received numerous awards, clients have included: Disney, Mattel, Sony, Warner Bros., and Fox. A self-styled “media disrupter,” Joe’s ideas challenge the status quo of new media marketing. For 34 years, he’s dedicated his career to his unique brand of high-leverage marketing, bringing great success to former employers and dozens of name-brand clients. 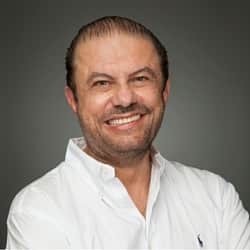 Miguel is a highly-accomplished, results-oriented C-level leader with more than 20 years experience leading business management and global sales/marketing, with two Fortune 500 companies. A leader in running a $150M sales organization as VP of Sales, he has most currently ben providing leadership and sales training to professionals as a Leadership Consultant and Coach. He is a digital marketing professional helping business leaders, authors, speakers, coaches and other professionals to improve their marketing efforts to gain more visitors, leads, and client conversions. As a keynote speaker, and transformational change agent, Miguel brings his insights and wisdom to public and corporate audiences. His most recent best-selling book, Let Your Emotional Intelligence Do The Talking!, is available in both Kindle and paperback editions on Amazon. 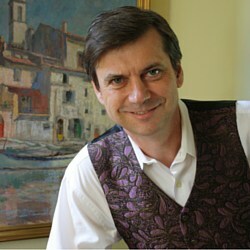 Steven Laurvick is a best-selling author, business owner and marketing consultant. His marketing company has published eight titles in paperback, e-book and audio formats. His first best seller, Oracular Marketing: How to Build an Evergreen Online Marketing Platform for Your Business, Products and Services, is a marketing manual for small business start-ups. As the moderator of the podcasts The Online Marketing Guy and Caregiver Support, Steve has interviewed dozens of thought leaders, medical device inventors, manufacturers and business owners. His international #1 best seller, How the Experts Make More Money in Less Time: In-Depth Interviews with 9 Cross-Channel Marketing Professionals, is a compilation of the transcripts of the best interviews conducted by Steve on The Online Marketing Guy video podcast. The owner of EnableMobility.com, MedAme.com, WheelchairShowers.com and other online venues with over 3,000 medical products, he is an expert at marketing on Amazon, Facebook, Pinterest, Twitter, Instagram, eBay, Shopify, WooCommerce, Google Merchant and other venues for physical and digital products online. A certified consultant with over 100 Instant Customer/TPNI Engage client sessions, Steve has helped dozens of entrepreneurs and business owners achieve success by consulting on the use of CRM systems with video marketing, email and SMS text messaging, and setting up automated social media delivery systems. 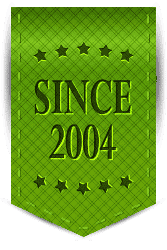 His company AME LLC is a marketing company that uses retargeted marketing, app creation, video production, webcast production, SEO, affiliate marketing, and PPC promotions. 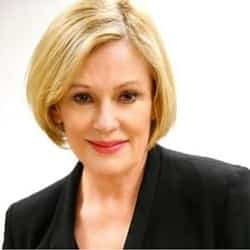 Sharon MacLean, President, WorldGate Media believes we need entrepreneurs and industry leaders to thrive, and flourish, in our linked-up world. As owner and publisher of a noted business magazine for 21 years, Sharon created content with forward-thinking solutions. An early adopter of social media, she positioned the magazine online using Twitter, Facebook, LinkedIn, and automated email marketing. Sharon originated the famous “Sizzling Under 30” that celebrated 200 young business leaders, “Women in Business,” “Family Business,” “International Business,” and “Visionaries in Technology,” among others. The Canadian entrepreneur later led an investor-backed start-up in its mission to create a marketing portal for wellness experts. The veteran strategist now helps successful business people adapt their traditional methods to social enterprise. 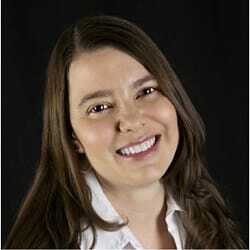 Melodie Rush is a trained Statistician and holds a technical MBA. She has presented and consulted with many Fortune 500 companies both domestically and internationally. Being a geek has not always been cool, but it has certainly given her the opportunity to teach and consult on many analytical topics across many industries. Her biggest strength is relating technical information to nontechnical folks. Melodie has an uncanny ability to simplify topics and chunk them into small bite-size pieces that even those afraid of analytics can understand. 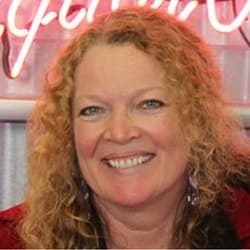 Melodie is an experienced speaker both live and virtual via webinars, having led more than 1500 webinars since 2001. She knows what works and what doesn’t when it comes to doing presentations. She is the best-selling author of the book Deliver Webinars Like a Pro. Melodie launched We Create MVPs to share her knowledge and expertise by helping those new to webinars become powerful, influential presenters. Additionally, Melodie works with her clients to become recognized experts in their chosen niche through video, social media and online marketing. Her experience includes creating and implementing surveys, analyzing data, coordinating presentations from 1 hour to three days. Melodie lives in Colorado with her husband and two cats. She loves to travel, scrapbook, and play with technology. In her spare time, she volunteers at the Denver Zoo as a Docent. Stephen Saber is currently the CEO of The Pulse Network (OTCBB: TPNI). The Pulse Network provides a cloud-based platform focused on content marketing and event solutions. The company helps clients ranging from Fortune 500 companies to small and mid-size companies boost awareness, drive lead generation, and enhance client engagement through content marketing, campaign management and event registration with a social and digital backbone. Stephen was formerly president of CrossTech Partners and CEO of New Marketing Labs, which merged with The Pulse Network in the spring of 2011. Earlier in his career he was a managing director at Cambridge Technology Partners (CTP) – one of the fastest-growing public IT services companies. CTP became the leading IT consulting and systems integration firm focused on the deployment of client-server-based business applications for Fortune 500 clients. Stephen has played a leading advisory role in major M&A transactions ranging from $30M to $450M in Digital Media and IT. Stephen received his M.B.A. from Harvard Business School and B.A. from Harvard University. Olivier G. Taupin is at the front line of tomorrow’s social media: vertical business networks. He also is the architect of the 10-Step Social Media Leadership – The Taupin Model © which guides CEOs on how to assess, plan, develop, and lead the social influence and the media content of their social media strategy. For Olivier, expanding a company’s social influence is no different than boosting the membership of a community, and he knows about communities: He founded the one-million-member Linked:HR, the largest professional group on LinkedIn worldwide. He also is the inspiration and the process strategist behind more than one hundred large business communities including Linked:Energy with 230K members, Next Dimension Careers with 120K members, and Linked:Seattle with 54K members. Olivier lives at the foot of Mount Rainier, near Seattle, Washington. He is blessed to have been married for 20 years to his best friend and is the proud father of two highly-creative teenagers. Pat Ziemer is the owner of Magna Wave. The company’s therapy devices are used extensively on racehorses, performance horses, and professional athletes. Five recent Kentucky Derby winners and numerous world champions in many horse disciplines utilize the therapy regularly. In 2007, Pat acquired the rights to the PEMF device, repackaged it, branded it as Magna Wave and hit the road marketing the Magna Wave brand. Since 2007 Pat has placed over 600 Magna Wave devices into the market for private and professional use, primarily in the equine marketplace. The company is now moving into the areas of human and small animal therapy.